>Hi there! How’s your week so far? 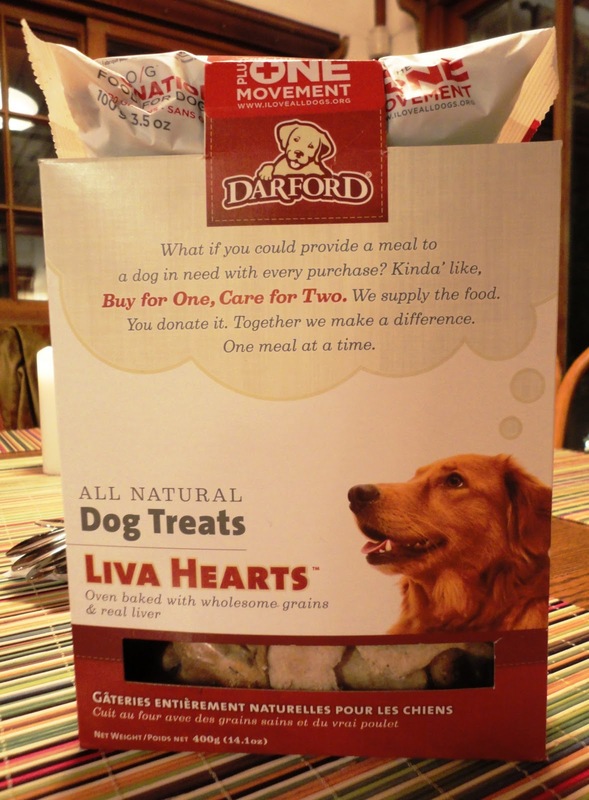 Tonight’s review is on Darford’s Liva Hearts! I snagged a box of these bad boys at Marlene’s Market today on a pop run. “Pop” is soda for those of you non-Washingtonians. Pop is more fun to say, therefore it is better. I hadn’t been to Marlene’s since my mom dragged me there in junior high, which I’m sure I didn’t appreciate. All of that tofu…those bulk grains and spices…the ear candles…it was definitely too much for me to handle back then. But tonight I was put in charge of bringing drinks and since I’m obsessed with organic pop like Hansen’s and Blue Sky (best root beer on the planet) I thought I’d give Marlene’s a try. It wasn’t bad. It didn’t smell like hippies or patchouli or anything like that, so I made my way through almost all of the aisles. After I grabbed two packs of Blue Sky (Root Beer Encore and Black Cherry Cherish) I happened upon the pet aisle. Go fig. It was there that I found Darford’s Liva Hearts and Chick’n Fingers. Side note: Why are they called chicken fingers? Chickens don’t have fingers. At least they didn’t last time I checked. I bought these $5.09 treats for two reasons. 1) I wasn’t feeling the product that I had initially planned on blogging about today. 2) The packaging caught my eye. Maybe not, but I’m not about to admit that any purchase I’ve made was a bad one. Ok, but seriously, this is a pretty cool concept. In every Darford treat or food box is a little package of dog food that you, the purchaser, are encouraged to donate to a dog in need! My heart is all gooey again. 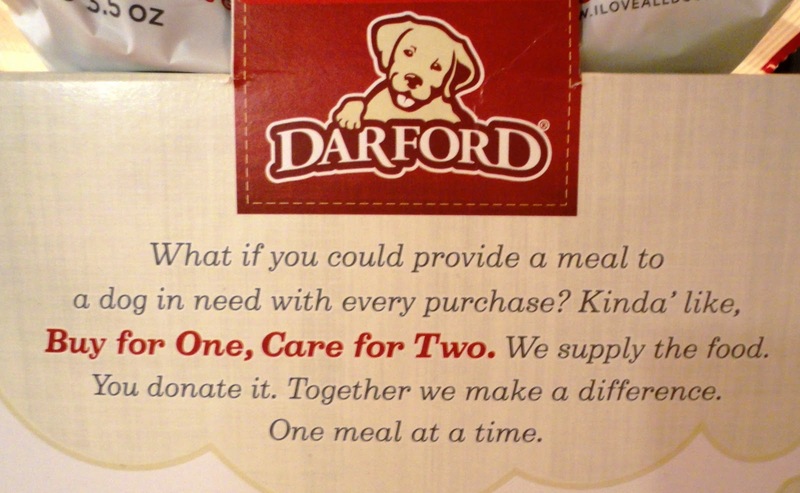 I’ll be the first to admit that I’d never heard of Darford before tonight, but even if these treats totally sucked, I would still feel good about my purchase because it would feed a dog in need! FYI: There are lots of places to donate pet food, treats, and other items. Try your local animal shelter or rescue group, your grocery store, food bank, church, etc. I’m not a huge fan of the wheat flour, but I’m good with the other ingredients. And for those who are freaked out by the chicken fat, never fear. Chicken fat is a good source of essential fatty acids and has properties that promote healthy skin and coat. I like that Liva Hearts have flax seeds, dried kelp, and rosemary extract. All three of these ingredients help prevent cancer and flax seed aids in digestion. TLB and Kasey liked these. I actually think that Kasey liked this a bit more than Teton. This picture makes TLB look huge, but he’s really not that much bigger than his uncle. 1. Ingredients – This has a lot of great stuff in it that benefits your pooch. 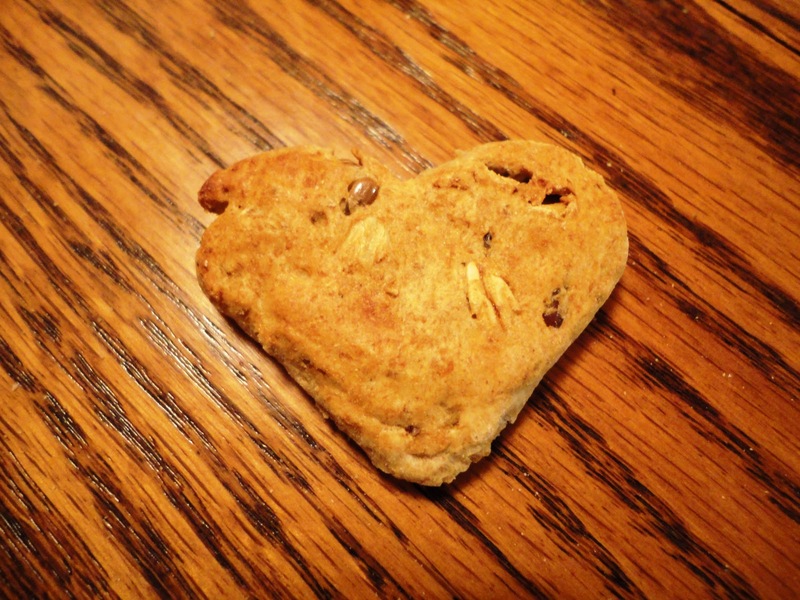 Of course, be mindful of that wheat flour for those of you whose fuzzy buddies have wheat allergies. 2. 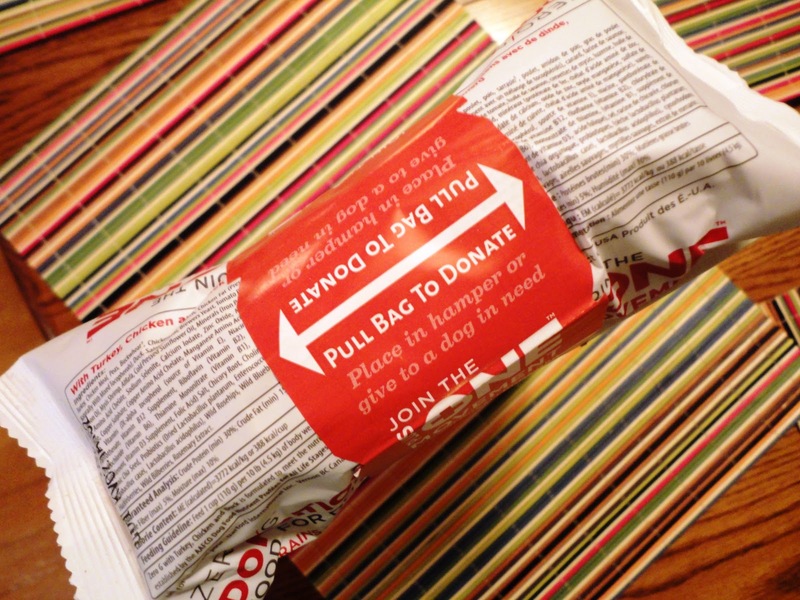 Feel Good Qualities – This is the first product that we’ve reviewed that physically puts something in your hand to donate. There’s something about having a tangible object that just feels good. 1. Ingredients – More specifically, one ingredient. Lose the wheat flour! There are just too many dogs out there with allergies. Why not make a product that every dog can enjoy? 2. Wow Factor – It isn’t there. Just another basic crunchy treat. Sure, TLB likes it, but what sets it apart from other treats? I’m excited to be able to donate some food to a dog in need, but once this box of treats is empty I don’t think we’ll be buying another one. It was a little too lackluster for me. TLB and I are off to play some fetch. See you in a few days! 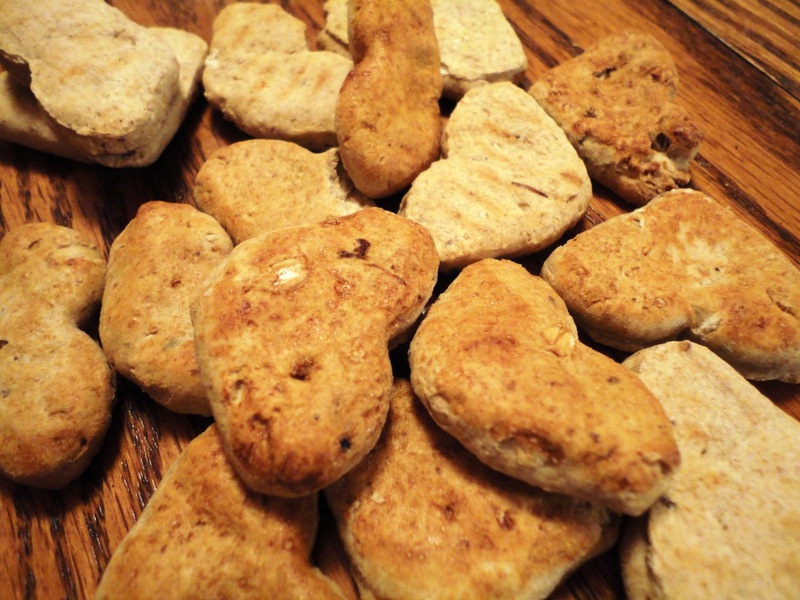 What is your dog’s favorite treat of all time? 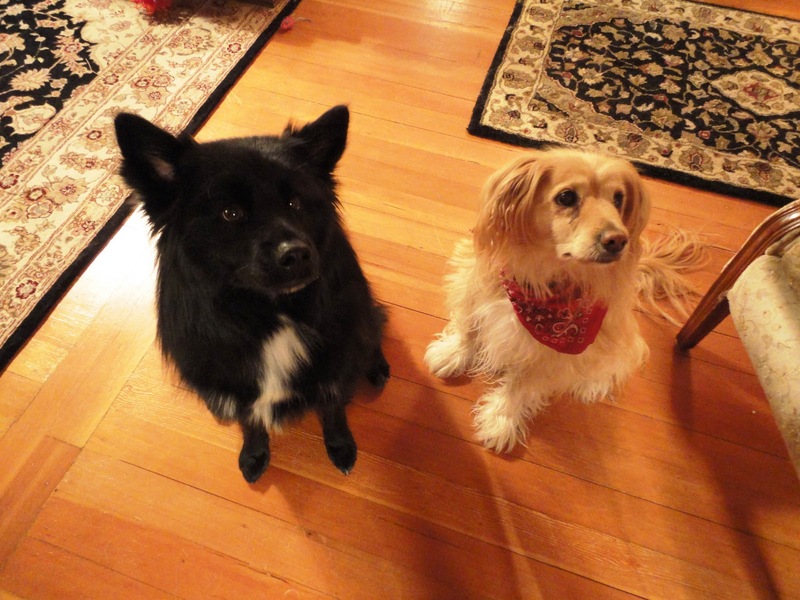 Posted on December 7, 2010 May 14, 2011 by Shannon	This entry was posted in This 'N' That. Bookmark the permalink. >Dried Sweet Potatoes! "Sam's Yams" makes sweet potato treats in at least 3 different sizes. Herman likes the "Big Boyz"…of course he does. (Larry, what's the next line?!) :)Ingredients: sweet potato. Yep. That's it!Gives the poochie a treat that is super crunchy and tasty, and no added protein to give him runny poos. >Julie: That's a good one! Teton loves Sam's Yams. I definitely need to add that to the review list. Not at all surprised that Herman likes the Big Boyz!